Search All Citra Real Estate! 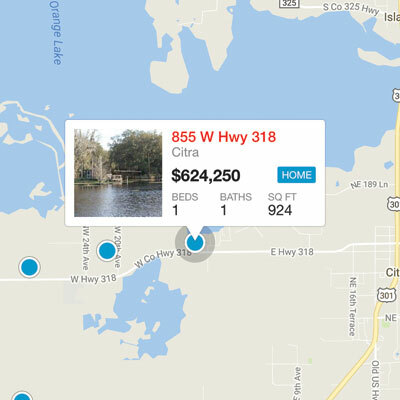 Get started now on the most easy-to-use and up-to-date real estate search for homes, land and the other available properties in the Citra area. Here are the newest listings in Citra, or start an Advanced Search. RC1- 6.98 acres, A1- 2.98 acres. Ideal location for retail or wholesale agricultural business (in tabs). Beautiful waterfront property! 3 Parcels Totaling appx. 11+ Acres , Zoned A-1. 2017 Roof and upstairs deck overlooking the lake!